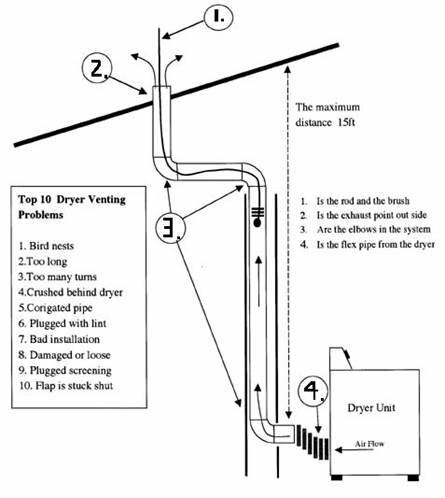 When was the last time you had your dryer vent professionally cleaned? According to the US Fire Administration clogged dryer vents cause over 16,000 fires annually. We offer an EXTREMELY reduced rate (50%) on your dryer vent cleaning service when you combine it with our window cleaning service. It is recommended to have your dryer vent cleaned every 2-3 years of regular use. If you have a large family it should be done more often. Also, rental property owners should reduce their risk by having it done once a year or at least in between tenants. We insert the rod and brush from the either the inside or outside of the house up to 12ft which covers the majority of the dryer exhaust vents we encounter. 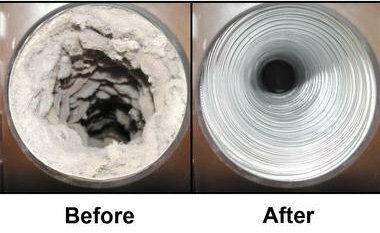 A clean unrestricted dryer vent is what you deserve! !